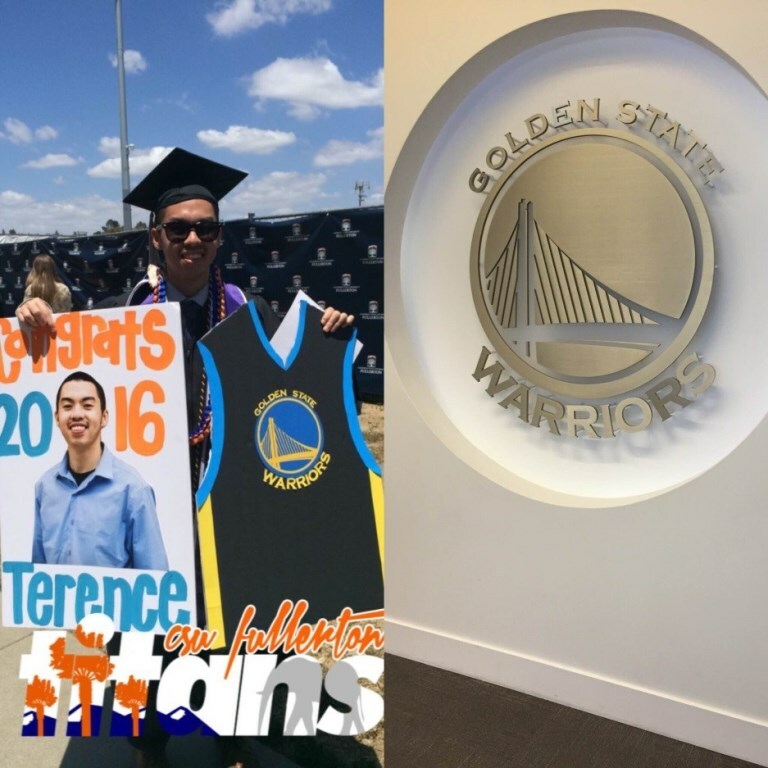 “The most important advice I could give to anybody in college is learn to be present in the moment and enjoy every day with a heart of gratitude, as one day your college experience will be over,” says Terence Yee ’16, an event guest services member for the Golden State Warriors in Oakland. Think you would like to work in professional sports? Terence Yee ’16 stresses that a career in the sports business is more hard work than glamour. He provides a behind-the-scenes look at his job with the Golden State Warriors and his plans for the future. A career in sports has been the focus for Terence Yee ’16 since his junior year when he interned with Titan Athletics. Today, the Cal State Fullerton business grad is utilizing his love of basketball by working for the Golden State Warriors, fulfilling a dream he’s held since his middle school days. 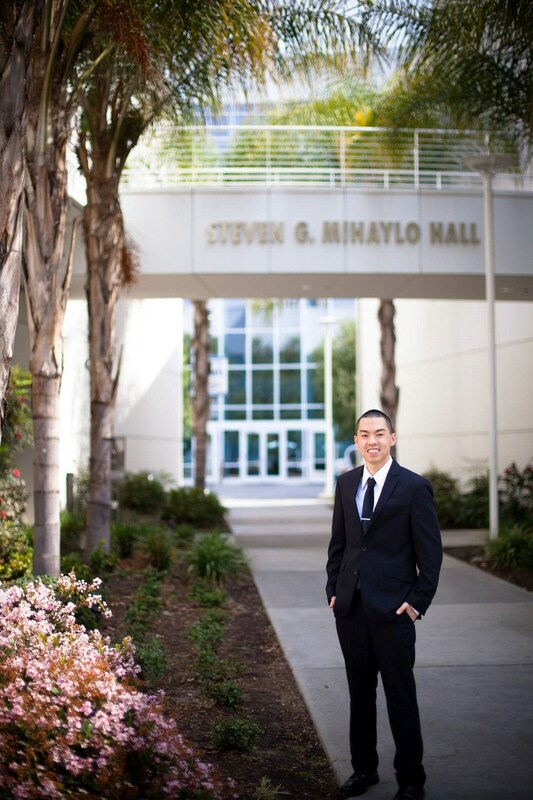 For Terence Yee, involvement in Mihaylo’s Pi Sigma Epsilon (PSE) fraternity was a pivotal step in his career development. 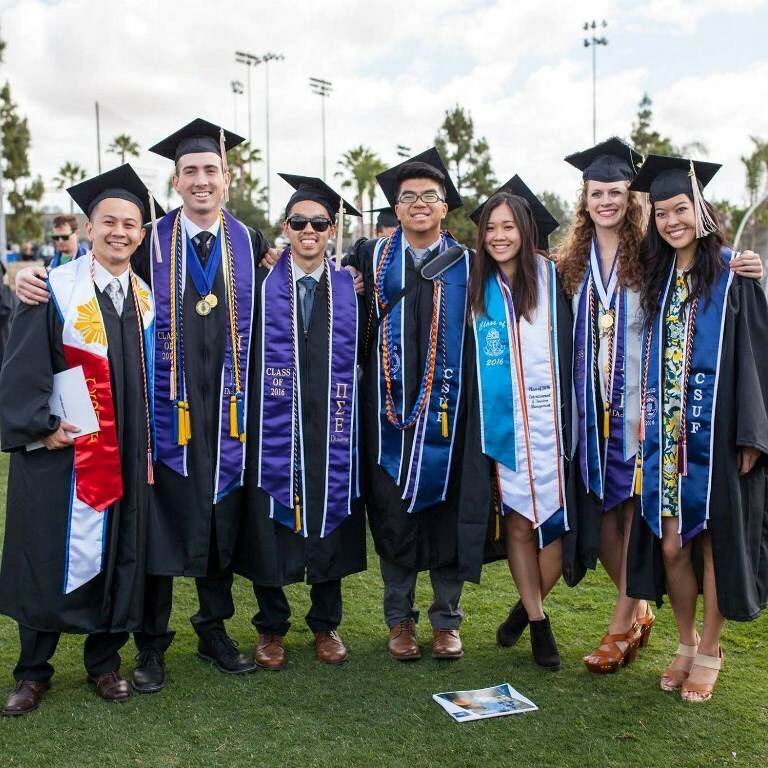 Terence Yee ’16 is third from left in this group of graduating Pi Sigma Epsilon students in 2016. Yee says the soft skills gained through involvement in the business fraternity have been invaluable to his career development. “I think the No. 1 questions that occupy the minds of college students and recent graduates are ‘What is next?, What direction do I want my career to go in?’ I’m constantly looking for some sort of direction as well. I recognize that many things in your professional life are out of your control, and you will run into many obstacles and road bumps. However, I try to focus on what I can control, which includes getting the most out of yourself by taking advantage of all opportunities and improving every day, whether professionally or personally,” says Yee. While uncertain of the particulars of his career path, Yee is planning to follow his passion for sports and continue to move up in the industry. “I know it’s always important to have a back-up plan, and I’d like to thank Mihaylo for giving me a well-rounded business education to pursue a career in marketing someday if a sports career doesn’t work out,” he says. For more on sports marketing, visit the Mihaylo Department of Marketing at SGMH 5214 or online.